The empirical evidence of our ill society is proving that an overfed and undernourished people is costly with upkeep. We must assess the validity of placing our entire nutritional security over the long-haul on a single approach of fundamentally unproven agricultural practice. Depleting and expensive with waste, the longevity of current conventional food production in the United States, and abroad, is challenged. But, with limited framework alternative to conventional production we maintain food ignorance and fall victim to credulity of compromised perspective. Further, because of our commitment to commoditized feedstuff, rampant addiction to growth agent antibiotics in food animals, and use of excessive & powerful synthetics fending off pests on produce and cereals – global scrutiny of US foods is very real and seems increasingly well deserved. This blind-faith certainty to the hubris of a few with biased intent that seems ready to exhaust essential resources through the heavy hand of monopolized business focused on short sighted profit drivers is without consideration of food’s intrinsic purpose of nutriment and value. We’re in dire need of different perspective in protecting our nest eggs. It’s nature’s way to balance trade-offs between characteristics such as growth rate, tolerance, drought resistance and defense to plague. This comes with understanding that we’re part of a process – offering further insight into working in unison and not against the systems we partake. We may be able to fool the system with artificial growth for a while, but it’ll bite back and we’ve no redundancy plan to deal with that consequence. Very much as Henk Ovink is coaching the States on embracing water, we need similar systems thinking with regards to soil and environmental health. This mindset defines new opportunity for US agricultural production to diversify by embracing regenerative natural order as investment to mitigate future risk to ourselves & surroundings. Step one in mitigating production risk in the United States takes advantage of our top assets. Returning grazing animals to being part of land management, and focusing on agricultural practice that feeds the soil and not the plant are undercapitalized segments in US sustainable practice with broad upside. Financial commitment to programs that put ruminants back on pastoral grass, and fostering the science of reducing input cost through finding efficiencies in regenerative Circular Agriculture creates immediate business opportunities that promote (One)Health of the system. In 2013, the Wallace Center Pasture Project detailed demand for grass-fed beef in US Domestic markets that equate to $10 Billion. With no immediate market leader and rare-few domestic producers of scale – the vast majority of supply is coming from abroad; imports from Australia, New Zealand, Brazil, Uruguay etc. Mind you, this supply may be short lived. At the Global Ag Investment Conference held in NYC this March, there was an entire conference track dedicated to servicing the influence of China’s 300M middle-class desiring a food animal production that included grass-fed meat and dairy. With unique proximity to Australian & Kiwi production, and an unprecedented trade agreement recently established between Chinese and Brazilian governments – all that imported cryovac grass-fed beef servicing US demand is destined a different future. As future volume of higher quality food currently servicing US demand heads to the Far East, a new source of supply is required. As I’ve witnessed first hand in helping to orchestrate the Entrepreneur Agrarian Fund, the opportunity to build a series of farms producing consistent supply of quality meat to wholesale distribution is vast and well beyond our scope of only serving New England. Growth off a strong balance sheet with sustained cash-flow and increased earning potential at scale does well in building rock-solid business ventures. Through selling higher-quality food, especially based on assets as tangible as land & livestock, other countries have proven that pragmatic investment in circular can benefit general consumer health; it can rectify the potential of an epic health outbreak; it will establishes a cost-saving production model at scale; and it reaps great benefit of positive unintended consequences associated to environmental and ecological impact – all through utilizing best sustainable production methods. Only one of these attributes seems reason enough to invest proper capital into concepts alternative to linear on US farms, but this collective quiver affords a unique arsenal for public and private support of circular food production. Delivering a consistent supply of high-quality products to wholesale distribution servicing the aforementioned domestic & global demographic of those re-connecting food to their personal wellbeing is without a doubt the single largest hurdle hindering evolution in the US food system. Circular practice lacks unified guidance, capital and representation Stateside. This is a problem as land, water and inputs begin to test as finite resources even on our huge island of bounty. But, it seems as long as we act swiftly we can fear not, as others have had it much worse and innovated to thrive. If we’re interested in seeing what our future will look like – we need no better example than the Netherlands. Evolving a nearly exact replica of current production in the States, the Dutch in the last decade have changed their approach to dealing with food animals to redefine future global circular agriculture. Busting at the gills, and constantly managing water & arable land – the Dutch have made significant invested in agricultural innovations and through such have gained general societal awareness to the importance of safer and healthier food on personal wellbeing. Becoming an agricultural superpower and global influencer (only behind their bigger cousin, the United States, which sits at nearly 250X the landmass) thus came with realization their products of higher standards gained unique demand. What’s so intriguing in hindsight, preserving cultural heritage to better service this evolving global demand from consumers aligning health to the food they eat may be the best investment and most creative ingenuity in the bunch as it offered a pathway of risk mitigation by taking pride in being, well, more Dutch. The Precautionary Principle is effectively a guide to taking actions now that would prevent future undesirable actions or results. When inertia from past detrimental events gains overwhelming advocacy for change – that’s when reform of social errors often takes place. Each society has their own – which effectively tells backstory of a nation. In 2005, UNESCO best defined the concept of the precautionary principle as when human activity lead to morally unacceptable results that are scientifically plausible, but often not proven (often due to magnitude or complexity) – actions shall be taken to avoid or diminish harm. Unbiased scientific evidence shall be the benchmark to enact actions as both interventions of current practice and innovations to improve or refine the future. Effectively, in situations where we forgot to measure twice prior to cutting, the precautionary principle process evaluates impact of short cuts or intrinsic flaws needing further insight and acumen. Current review of man’s contribution to climate change since the onset of the industrial revolution is a prime example of a principle shared globally. 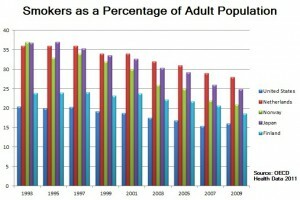 Eradicating an immersive societal smoking habit once open and pervasive throughout the United States is fantastic example of success in judiciously instituting a precautionary practice for the betterment of the society. I joke with farming friends thinking of transitioning to sustainable practice, that the best course of action is to start growing in circular fashion, or just completey jump-ship and plant sterile fields of conventional tobacco dripping with synthetics. What seems to be a huge differentiator, and a feather in the cap of production of higher-quality food as compared to tobacco, we’re not trying to ban food. Instead, it’s about shifting focus of existing business to invest in new innovation of circular food production. This approach to mitigating risk, regulatory and market, just seems a more advantageous approach for circular food advocacy and conventional practice alike. 25 years since the fall of the once great empire of US domestic tobacco sales, the results of reducing a known societal health concern has now seen great impact on health and societal norms. Taking a generation to fully realize beneficial results, we should be proud of a track record that has greatly reduced use and immersion of cigarette smoking in our society. With different drivers for societal change, the Dutch had their own fish-to-fry. Living through the backlash of food production’s hit on human care, with near immediacy they began designing a systemic precautionary food principle that took a decade to now realize. Upon returning Stateside, I came to learn cigarette usage in the Netherlands is about 60% higher than in the States, and nearly double the amount of Dutch kids smoke cigarettes compared to Americans. After three weeks of being immersed throughout the Netherlands I felt I got a feel of the populous. 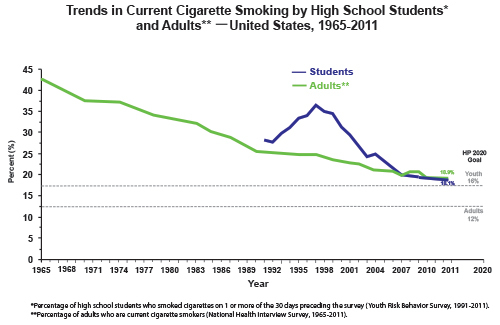 Anecdotally, it seemed a saw a huge volume of smoking in all generations. It was a bit odd to see, young and fit folks – ripping butts through-out the day. 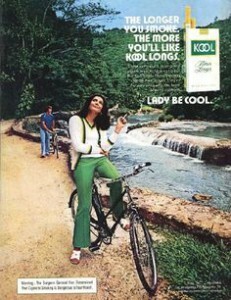 The above cigarette advert of a young, attractive and fit woman riding her bike (without a helmet) while enjoying a smoke seemed spot on. I saw young kids, elders, pregnant woman, professionals and many millennials with a lit cigarette in one hand, and the pack of smokes complete with the jolly roger skull & crossbones toxic warning in the other. I learned while in the Netherlands, like in the States decades prior – in trying to eradicate this known public health concern through precautionary practices that will improve the health and well being of their society – the Dutch have recently banned smoking cigarettes indoors and in public places, and they’ve established a knowledge-share campaign paid-for by the extra taxes incurred on tobacco sales. To be honest, after hearing of their incredible commitment to food as healthcare – I was surprised to the volume of smoking I saw in the Netherlands. A friend described it as what a Hollywood parody on the French might look like. I believe it’s a bit of a sensitive subject, like the obesity problem in the States, but none-the-less I found it refreshing and somewhat encouraging. No-one likes teachings of perfect people. But we do have tendency to learn from those who’ve fixed known mistakes; we’re suckers in the States for innovators and the come-back story. It’ll take some duration, but no better time than the present for addressing problems with food or smokes. Free-markets have a tendency to boil down the wrongs-and-rights of who’s liable – and for what. Insurance companies have been telling us for years that smoking is taxing on health and premiums reflect such lifestyle choices. Life and health insurance companies delve further – assessing your wellbeing, poor or good, as a rate determinant. So, why shouldn’t a preventative approach to healthcare by eating well sourced higher-quality food be of greater reward in our free-markets? It would seem in the best interest of big insurance companies to support such a plan of instituting a precautionary approach. A carrot, along with stick, could vastly improve our risk factors with food and resulting health. Premiums could flatten, but profitability would increase as less taxing care costs afford better returns. Nearly every provider not offers fitness reimbursement, pretax dollars can be earmarked for massage or alternative and homeopathic care – but not that of higher quality food? To be absolved of past eating sins we must take accountability for cheap food. Taking this leap with some precautions in how we raise food animals, or alleviating toxic exposure in the food we eat seems to make a lot more commonsense for the general public as compared to what we’re broadly digesting domestically through US production and paying for in reactionary care. Less cases of cancer, heart disease, obesity and other modern plagues could be useful fodder in conjunction with industries and regulatory forces yet to chime in on food and its impact on health of constituents and surroundings. It’s time preventative care gains shelf-life. While in Brussels, I had the opportunity to visit the US embassy and meet with Jim Higgiston, our Minister-Counsellor for Agricultural Affairs, U.S. Mission to the EU. Jim has an impressive and intriguing past; he first joined the Foreign Agricultural Service in 1984 after graduating with a Master’s Degree in International Trade and Finance from Georgetown’s School of Foreign Service. He joined the Foreign Service in 1987. 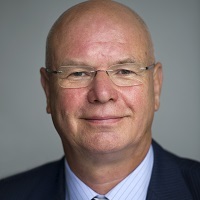 Jim has served in Moscow (1988 – 1992), Warsaw (1997 – 2001), and Ankara (2002 – 2006). He has also held a variety of positions in Washington dealing with analysis, food assistance and trade policy. 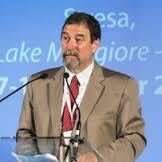 Since August 2010 Jim served as Deputy Administer for the Office of Foreign Service Operations (OFSO). As Deputy Administrator for OFSO, Jim was responsible for all FAS overseas operations which included 96 posts, 110 American officers and 320 Local Staff with a budget of over $90 million. Jim was the first to educate me that a precautionary principle is a replicable formula. He explained that recent report comparing US practice vs EU found we nearly mirrored each other in volume of implementation, but application of precautionary approach varied greatly. I’d heard of the concept prior with regards to seat-belts, bike helmets, automobile airbags and cigarettes, but never fully evaluated domestic sustainable food production as a potential method to modify future risk of keeping all the eggs in a single production basket through shifting the burden of truth. Jim listened, had a few questions, and listened some more to what I was trying to accomplish with this fellowship program. Sustainable agriculture is too often presented as only black and white – and I feel, as I believe Jim did as well, this was not the proper approach. 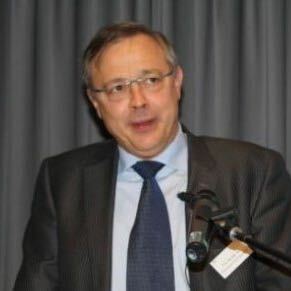 Joining our meeting was Yvan Polet, a knowledgable specialist in European agriculture. Jim and Yvan asked of me poignant questions regarding the introduction of alternative production at scale in the States. Overall, I think the conversation went well. I left the meeting feeling genuine intrigue from Jim despite some exceptions taken from my definitions of food commoditization and lack of value in conventional US production; understandably so. Both Jim and Yvan recognized the opportunities in servicing growing market demand of food of circular practice, and some potential in mitigating risk to certain detrimental practices that may use a fresh perspective in sourcing food with a more environmentally conscious approach to farming. Jim did mention, if ever there was a modern agriculture system to evaluate diversification for the US, the Dutch approach was it. What the Dutch got as a result of cleaning their food system and defusing the risk of resistance has materialized into the health of their citizens recently projected to have the lowest future global obesity rates in the developed world. Evolving food, as with cigarettes, will be a slow-burn. This will prove to be mostly Market driven, but a few ground rules instituted preemptively will help change habits through limiting availability and accessibility through different perception. In each and every country we all share unique backstories that have led us to discovery with different cadence. Better appreciating other’s successful prior-art in rectifying societal health issues, and learning from our inevitable truth should be a cornerstone of future trade discussions as precautionary practice amongst progressive allies both interested in feeding and making healthy a shirking world seems a must. Properly incentivizing farmers and production capacity to migrate to circular practice in the form of existing business diversifying their offerings to service changing consumer sentiment and through an influx of capital to support innovation & product niche expansion, a bridge takes a few forms. Picture this: a Dairy, the 5th largest in the world, that sources nothing but milk and operates with revenues similar to those of United States Grocer Whole Foods. 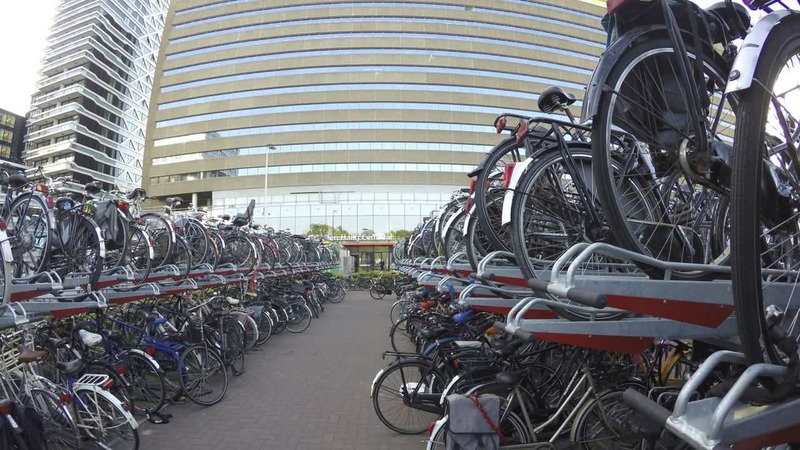 You may have the wrong image of production in your mind – unless you’ve been to the Netherlands. For Friesland Campina, producer of huge quantities of best quality dairy from nothing but pastured and grass-fed cows, the focus is clear – it’s about nutrition and healthiness of clean dairy throughout this 170 year-old Cooperative. Convening at Friesland Campina’s Global headquarters in Amersfoort, we met with Jaap Petraeus – Manager Corporate Environmental affairs & Sustainability, and Jan William Straatsma, Manager Sustainable Dairy for Friesland Campina. Also joining me for this day of meetings was friend and German Investment Banker confidant, Benedikt Boesel. Ben has a background in farming, and is set to continue his role with agriculture on his family’s expansive farm near Berlin. He’s smart, passionate and cares greatly for evolving food through proper channels; his impact is only just beginning to be felt. Japp gave us an overview of what Friesland Campina was up to regarding corporate sustainability, circular production practice and One animal Health. Unlike here in the States where sustainability is ofter a rounding error or appeasement stats – in the Netherlands it’s as immersive in all business silos as technology, and adoption of broad-base sustainable practice in Dutch food companies is a standard. As Manager Corporate Environmental affairs & Sustainability at Royal Friesland Campina, Jaap is very professional in delivery and material. His specialties are the sustainability issues within the Dairy, and the Food industry, directly responsible for setting up a company policy on sustainability and how to implement into the organization. We discussed many of the global strategies employed by Friesland Campina. One I found very interesting was the tests in creating Dutch Dairies on non-domestic soils. Friesland Campina milk sourced not just from import, but through production on foreign soils through best proven methods aggregated within their dairy Coop. Friesland Campina is huge, and like US grocer Whole Foods they have not sacrificed their mission nor ethos for profit. Alternatively, I think they’d both agree that in the long-run their commitment to consumer and planet will generate more profits. Where they differ, Friesland Campina seems more of a Dutch standard, where as Whole Foods is surely the US anomaly. Anterra Capital was formed in 2013 from the spin-out of Rabobank’s proprietary food and agriculture venture capital fund, Rabo Ventures. Today, they’re backed by Moonray Investors, the proprietary investment arm of FIL Limited (the parent company of Fidelity International), and Rabo Private Equity, the proprietary private equity arm of Rabobank, a global leader in food and agriculture financing. Our close working relationship with Moonray and Rabobank ensures us access to industry-leading knowledge and a comprehensive network of industry and investment expertise. Through this partnership, our companies are able to access resources that are proven to accelerate global growth. 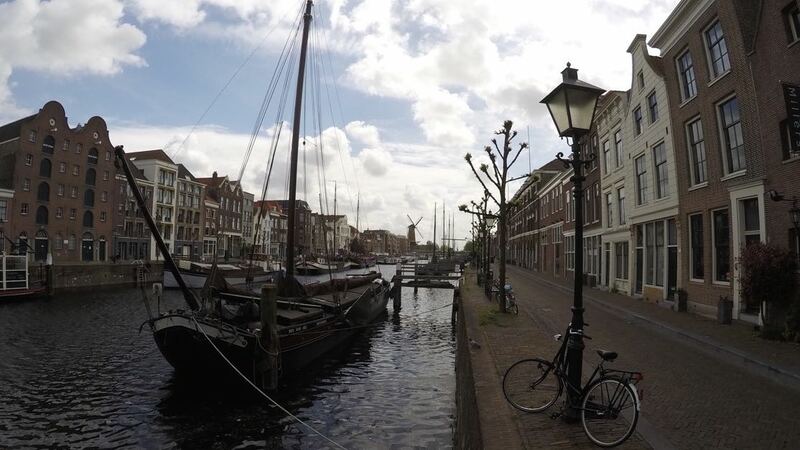 I caught-up with Managing Partner of Anterra Capital, Adam Anders at his offices in Amsterdam. 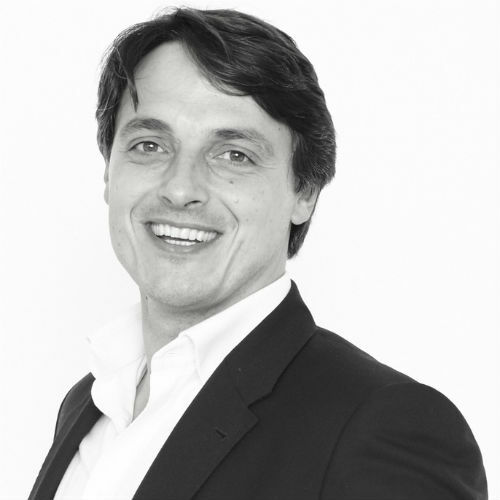 Adam has over 14 years of private equity and venture capital experience, having entered the sector as a senior operational executive for several venture capital funded businesses. Adam has held senior roles at Rabobank including as a Director of Rabobank Private Equity and the Managing Director of Rabo Ventures. Adam grew up in rural South Australia where his interest in agriculture & food innovation was initiated. Adam is a regular top-billed speaker at food and agriculture conferences, and that passion and leadership he presents for improving global systems was evident in our discussion. Adam described what they were up to at Anterra; a fund managing more than EUR100 and focused solely on investing in the future of food, and new food technologies. He explained that when approaching Fidelity to be an anchor LP, the fund was instead nearly completely filled that day by the Fidelity Umbrella. It does make sense when it comes down to it. I spent a few years working at Fidelity early in my career. After one of his speaking engagement I had the opportunity to meet with legendary Magellan fund manager Peter Lynch. If you follow the Peter Lynch guide to investing – putting investments into what your kids care about is usually wise. A new venture fund designed to cultivate business growth in fields of great interest of generation next – like higher quality food and circular production, well, that just makes commonsense. A pragmatist who sees great value in spawning new food ventures through financially backing raw and energized talent, Adam is on to something big. Investing domestically in the Netherlands, and now looking throughout the US, Adam utilizes his talents in finance and his passion for agriculture to build a bridge necessary in fostering a more robust innovation economy of circular agriculture and food. Biomimetics is the imitation of the models, systems, and elements of nature for the purpose of solving complex human problems. This concept of learning from the efficiencies of ecology and biology has begun to happen more often, but rarely in holistic systems. The underpinning of system health influences all decisions and changes outcomes through broader and more aware perspective that puts value into food though dedication to its singular system health. Taking the metro just Northwest of Rotterdam, I stopped off at the headquarters of Koppert Biological. Koppert is a leading voice in biological control and natural pollination. I sat down with CEO, Paul Koppert in their stunning new facility in Berkel en Rodenrijs. Paul walked me through a bit of the company backstory. Driven by a mission, Paul’s father Jan began the company to rectify many of the alarming trends happening in agriculture after WWII. Jan’s farming career became hindered with consistent headaches and illness which he associated to synthetic pesticides sprayed on his cucumber beds. Koppert Biological was born to learn from how Nature works, and replicate those systems for more efficiency, and safety in growing our food. Now, at 1100 employees and exporting natural defense and pollination throughout the world, Koppert have built thought-leadership in biomimetics of circular food production. Koppert Biological Systems contributes to better health of people and the planet. In partnership with nature, we make agriculture healthier, safer and more productive. We provide an integrated system of specialist knowledge and natural, safe solutions that improves crop health, resilience and production. Paul explained to me the grande reduction of active ingredient pesticides used in the EU over the past decade. Dropping from nearly 1200 synthetics used 8 years ago – down to around 300 used currently in circular production. Koppert has played a key role in reducing the use of supremely dangerous pesticides and fungicides on especially susceptible crops like produce & cereals through empowering natural order. Heading out near Lelystad, I traveled to the home office of Schothorst Feed Research. This group is responsible for evaluating 80% of feedstuff coming into the Netherlands (mostly from Brazil and Argentina). I spent about 3 hours with Dr. Piet van der Aar, Managing Director at Schothorst feed research. Dr. van der Aar explained that about 10% of all global feedstuff is based on their research at Schothorst. Production from healthy food animals is big business in the Netherlands, and not much is left to chance. The approach Piet and the smart folks at Schothorst utilize is learning from best practices and efficiency in natural systems. Better use of by-products, and broader introduction of diversity into diet is their focus in growing business and refining feed efficiency in a healthy system. Piet van der Aar received a Masters Degree in animal nutrition from Wageningen University in 1979. Besides Animal Nutrition, he had Grassland production as a major and Animal Physiology and Marketing and Marketing Research as minors. During his Master phase he also spend 6 months at Cornell University at the laboratory of Dr Van Soest. He received his Ph.D. degree in 1982 in the area of Nutritional Biochemistry on the Thesis : Effect of alcohol-water treatments on the utilization of soy bean meal by ruminants at the University of Illinois. 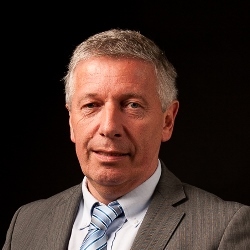 Since 1982 he’s worked at Schothorst Feed Research B.V. holding positions including ruminant researcher, coordinator swine research, and now managing director. Innovators looking at alternatives aside from staples soy(a) & rapeseed, Schothost has begun testing insects, micro algae (a multifunctional raw material), seaweed, dehulled pulses, and broader spectrum yeast & fungi as potential feedstuff proteins. Appreciating the need for further research in animal feed, Piet detailed some concerning trends happening around the global with food animals and feedstuff. We should heed these warnings and begin to plan according as our business-as-usual constant will change. Feedstuff alone is well worth risk mitigation Stateside. As the Dutch have clearly demonstrated at scale, with proper incentive, a circular approach to farming is in the best interest of those who it serves – and will be eventually adopted ubiquitously. A healthier work environment that accounts for externalized and true cost of food leads to a residual of lower operational expense as input costs shrink and a framework for more fiscally sound business is based appreciation and not depletion of natural resources. One system Health is better of the farmer, the consumer, the environment – through the conduit of animal welfare. While in Brussels, I caught up with Koert Verkerk to discuss how the Dutch have made a name for themselves through clean and safe food animals. 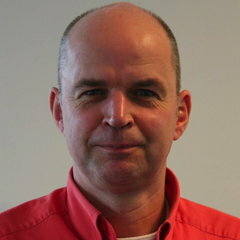 Koert is a Policy Advisor of International Affairs at LTO Netherlands. This dynamic guy in his late-20s is already making good things happen. He’s directly responsible for coordinating lobby activity on an international level. What I found most interesting was his perspective on food and agriculture as an informed Dutch millennial. He had heard of animal production practice in the US, and at the scale it’s performed on large bovine, and followed with many questions about regional differences and demand in the States. A few folks at LTO were less bullish on TTIP and future trade of clean meat & dairy with the US, but Koert was enthused to learn more and see where the future may lead. I found it telling that the farmers trade organization in the Netherlands representing higher quality Dutch products had hired this businessman with scientific farming savvy. A Wageningen graduate who is already tooled with unique knowledge and passion – as the Dutch take over the EU presidency in 2016, it seems their model of Dairy, meat & OneHealth is primed for lobbyists of clean and healthier food to lock horns with those of special interest in conventional food production in DC. It’s a short fuse before the general public in the US will better understand & appreciate the public health risk we’re self-inflicting through our livestock operations. The gross overuse of antibiotics as animal growth agents now accounts for over 70% of total domestic antibiotic usage happening on the farm. As both qualitative and quantitative evidence based agriculture, for a decade the Dutch OneHealth model has proven successful in mitigating risk by stamping out a festering public health issue ready to inflame. Mostly spawned from this slow and sustained use of antibiotics on the farm, Superbugs or “Resistance”, have now caused millions cases costing the US health system $20B and 30K lives. Treating animals as persistently sickend by the system, in conjunction with artificial weight gain and additional feed efficiency has developed a framework intrinsically flawed. We can learn from trusted allies that cutting corners bites back – hard, and evolution is a requirement. Reported at only 12% utilization for growth agent purpose in the States, an industry consensus shows numbers significantly higher, as usage data is being alternatively defined for on-farm antibiotic administration. Currently using an estimated 30 Million lbs of antibiotics annually to raise our feed animals, the arcane and non-required process of collecting the data on antibiotic use prevents accurate assessment and true reporting in US production. Bolstering the immunities of germs & not humans, as Sir Alexander Fleming warned with the advent of penicillin, administration in slow and small doses will establish microbial immunities – superbugs. This process, whether defined as growth agent or not, is a a self-inflicted bio-warhead with no current checks and balances requiring immediate remediation. Leaders are more worried about the results of an Iran nuclear deal 15 years down the line when we’re curating an epidemic of WWIII proportion on our homelands today! We live in a shared environment where bacteria selectively affects animal throughout the food chain. With us at the top, we consume all the potential risk. Despite a first US attempt to alleviate the overuse of antibiotics in 1977, we remain paralyzed with practice of slow and federated on farm utilization. Not requiring a prescription, antibiotics are routinely ingested by livestock through feed or water. This habitual on-farm use is what has been proven in Europe to accelerate antibiotic resistance now threatening human health. When this is presented as investment in agriculture innovations which deliver diversity to production that’ll better mesh with an evolving global market demand increasingly less interested in commoditized US feedstuff and meats, that is risk mitigation to surefire public health outbreak and against loss of business. Not to be forgotten, the US Domestic demand for higher quality meats is already a $10B industry with the vast majority of that supply being sourced by international import – so, capturing new business is equally on the table for domestic production. 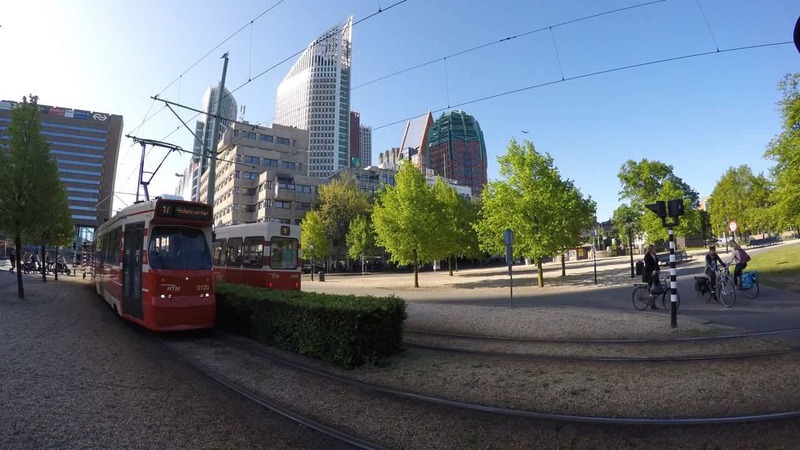 The success of this required production evolution in the Netherlands came in tow with track-record and use data from professionalizing the data stream. Even without full government commitment, the free market opportunity will eventually move this small niche intro broader adoption here in the States as superbugs spawned from food production is nearly guaranteed top billing as a future meme throughout a connected society. The Dutch solution, now a decade in the making, empowered veterinarians to become the holders of the keys to utilization and tracking. This same practice seems an ideal scenario for modifications in the US. A profitable economic model designed to invest primarily in real-assets (farm, land & animals), that benefit many stakeholders through correlating returns to the sale of decommoditized meats (meats that are clean or have additional market value) from animals raised with proper circular practice is premise for the private equity fund I represent in Boston. The Entrepreneur Agrarian Fund (EAF) focuses on servicing the demand for grass-fed beef cattle and clean swine in the Northeast United States through building a series of farm enterprises meeting increased wholesale demand for higher quality proteins. Our model is unique and revolutionary in the US, but not so for financial vehicles around the world. Many of the farms producing grass-fed beef in Australia, that later ship cut primals in cryovac bags operate in similar fashion, but on Australian soils. What is often overlooked by most of US beef production is the operational cost of grass-feeding cattle stays relatively flat, if not decreasing overtime, where conventional production is extremely susceptible to price volatility associated to being reliant on numerous commodity bubbles. The sun and ecological workforce source an ongoing feedstuff to ruminants on pasture – which in turn produces healthier animals on proper forage, and that of better welfare from pasture not confinement. Land is often the primary concern of most when we describing pastural animals. The concern is often associated to the expense of cropland in the US. A valid concern, although the Dutch would chuckle when hearing the US complain of accessibility to land, but worth exploring further. First, there is a great difference between returning fallow pasture vs. cropland. Since pasture is often a next natural step in land regeneration – returning animals to the natural process is how the system works to begin with. Even marginal lands can succeed – especially when coached properly. Pasture is not fighting to fend off a natural process, as with row crops, it’s instead mixing a recipe known to thrive when ruminants and grasslands work together. What’s exciting for US production – steeped with history and tradition – putting animals back on the farm only disrupts a the tail-end portion of the existing framework as many of the pastural practices still exist throughout production beef and dairy workflow. 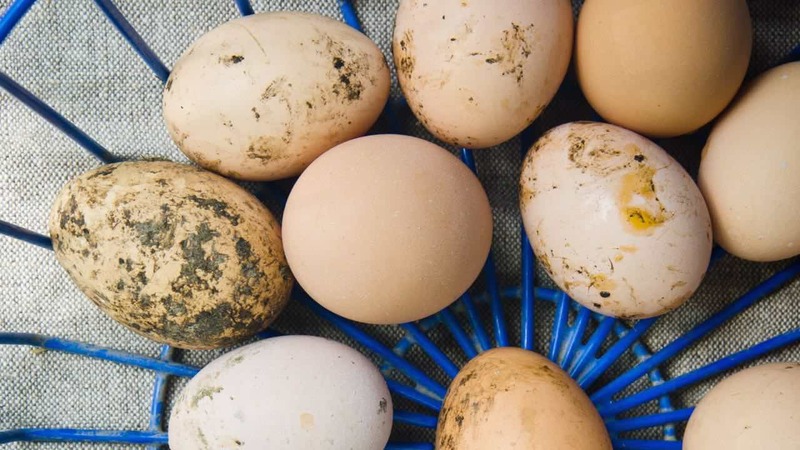 Most young food animals could be diverted immediately into circular programs focused on consistent animal health and not commoditzed food stuff. As witnessed in the Netherlands, having dairy and meat animals on the farmland is part of who we are as a nation; it’s our linage. If celebrated, and promoted it draws fresh and unique appeal. Last year I had opportunity to engage with Pully Rutland – CEO of the US Cattlemen’s beef board and an Eisenhower fellow’13. We’ve stayed in contact and seem to share similar intrigue in opportunities arising for US beef. While in the Netherlands, I sent a note asking of her interest in working on a project that demonstrates how grazing bovine can work to remediate deserfication in the US high plains and southwest. This concept is something Allen Savory has spent a lifetime promoting – and groups in the US are beginning to look at the model not only as a way to address soil and natural resources concerns, but as a proper method to infuse natural carbon sequestration into the bank account of healthy soil through grass and associated practice of fixing nitrogen via forbs & legumes. Polly couldn’t have been more enthusiastic. As she concisely explains, beef coming from the States spends a great deal of it’s time on grass and pasture; often preserving these areas where water has grown increasingly scarce. The economics still make a pastured and grazing incubation process in both cow/calf & stocker thrive in conventional production systems. What Polly and I were discussing, when cattle is managed properly through pulse/mob grazing even on marginal land, and animal welfare matters, there’s millions of years and 60% of global land covered in grass as evidence that OneHealth is beneficial to animal, soil, environment and planet. Here’s the kicker – through extensive research in the industry, at the EAF, we’ve demonstrated that the cost per lb. of weight gain is about .70 cents on grass, as compared to $1.25 on corn or other seed/grain feedstuff. For grazing dairy, grass-feeding is even more economic feasible, as expediting animal to weight of harvest is not a concern, and according what I learned at a few different dairy farms in the Netherlands who invest significantly in animal welfare – the average longevity of grazing OneHealth animals can be an additional 2-3 years of lactation. No E. coli , no mad-cow, no propagation of resistance; all from a protein higher in oleic acid and balanced in omegas 3&6 while safer for the planet and environment. Healthy and safe bovines living on natural forage and focused on animal welfare should be a flagship initiative in cleaning our food system. Sounds like a winning recipe for beef, and one that may not be too far reaching for more efficient vertical integration potential, or for those US Dairies in the Northeast and West Coast already performing mostly similar in practice. The application process for pesticides on our food is NOT based on an exact science. What persists, and how much of that trace element neurotoxin or hormone-disruptor left on the thin skin of the fruit or vegetable you’r eating is anyone’s best guess. Many of the synthetic defenses used in the States are designed to scramble the brain & disrupt reproduction non-selectively amongst trophic levels of the food chain. Meaning, they might be meant for bugs, but additional usage and run-off is showing contamination to biodiversity, and evident loss of wildlife. Mostly, these synthetics used as a direct recourse to our linear farming process to fend off pests has gained further scrutiny in recent years much due to their imprint on physical and mental human health. Don’t be fooled, no matter the level of trace amount found, now higher in application concentration and potency, the use of these synthetic chemicals applied directly to fruits and vegetables is of immdiate concern to public health. The potential spill factor of excessive use of pesticides during conventional open air farming application is extraordinary. Designed to resist the elements, the reality that persistent neurotoxins are present when you consume that tomato (washed or not) is very real. The Dutch are light-years ahead in combating this pesticide overuse through what can be best described as ‘precision agriculture'; or glass-house production. Currently, 75% of international IP for glass-house production is Dutch. Despite aligning with many of the interests of US consumers, there’s a limited footprint in the States, and have virtually no East-Coast instances. We sit at 1/10 the total sq. footage of the production under glass as the Netherlands. The fact that the Dutch have reduced the use of persistent pesticides, herbicides and fungicides by an order of magnitude in 10 years, and that model under glass can be premise for a cleaner methodology for vast volumes of produce and fruit that can services diverse demographics in the US seems a natural progression in mitigation of risk to business, and societal health. Thanks to current innovation, there’s immediate opportunity to grow safe produce from anywhere. This use of innovation in form hydroponic or soil-based glass-house production can do many positive things in the United States. Year-round consistent production changes the dichotomy in local food distribution throughout the US. When clustered, as the Dutch have proven in the Westlands, production of safe and health fresh food can service any population density. That same clustering in the US, especially on the East Coast equidistant between population densities of cities & colleges – produce production can become hyper-local and very cost effective way to raise minimum thresholds to reduce or remediate harmful and toxic pesticide use, while inducing a potential year-round supply of fresh, nutritious and local fruits and vegetables. Near Eindhoven is Middelbeers, a town in the Netherlands known for some Dairy, some fowl and a lot of swine. But, my visit that day was for neither; instead it was to Oirschot Organics, a family run glass-house facility that produces top-quality Organic/Biological produce. From the soil-up is exactly how son Jorrit Jonkers, and his father Adri operate their nearly 10 acres under glass. Jorrit explained that they went Organic vegetables only in 1999 after raising chicks & vegetables onsite since 1970. Now, focused on production of cucumbers, tomatoes and peppers they produce enough volume for 95% of their production to enter wholesale distribution spread equally to Germany, Domestically and the rest of the EU. And despite production yield being lower in total weight as compared to conventional – the Jonkers reap a 20% market premium, they gain healthier and safer crop outputs, a safer environment for themselves and employees, they draw consistent demand, and they lower seasonal price fluctuation with their soil-based (non-hydroponic) Organic produce. I first learned of Oirschot Organics after readying of the EU Delegates who visited the Jonkers’ farm while evaluating the capacity for EU Organic food growth of the future. Jorrit took a few hours to walk me around the well-kept and smart facility. He explained and demonstrated the great opportunity glass-house production, especially for soil-based growing, has throughout any region of the world. 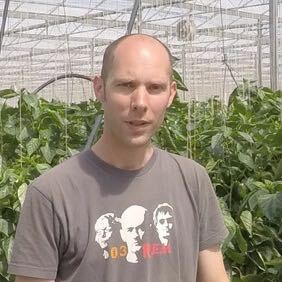 As Jorrit opens the roof and side-windows venting heat and encouraging natural fauna to engage in the controlled growing space, Jorrit described the natural energy loop they use in operational and agricultural approach. In his mid-30s, Jorrit had his stuff down cold. 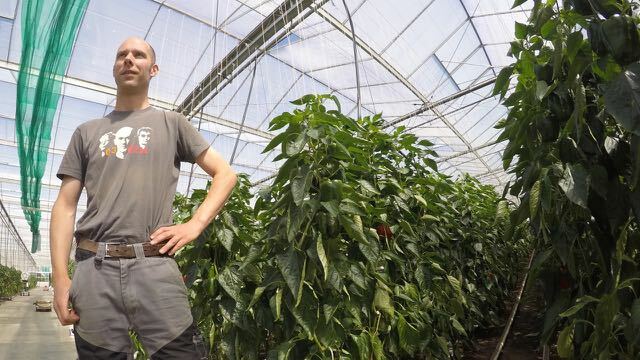 From soil, to growing technique and latest innovation – Jorrit was a student of the game and that was clear in this state-of-the-art controlled growing Organic environment. I believe the market opportunity for Organic glass-house production in United States is unparalleled and immediate. We’ve done the modeling at the Investment Bank I work with on the Entrepreneur Agrarian Fund, and the financial benefit in disrupting regional wholesale distribution with a constant supply of high-quality produce, Organic and not, expedites with further scale and deeper vertical integration with production, distribution and value-ad. The great part of the whole thing, raising minimum barrier to market entry through alleviating proactive production requirements for toxins found commonly in conventional herbicides, pesticides and fungicides through controlling the environment is a now a proven and tested technology at maturity developed in the Netherlands. More than just pesticides, the backlash of other linear practices in conventional production have been called in question – specifically the sterilizing herbicide glysophate used both in growing and as a preservative on harvested cereals. Additional practices using taxing practices putting human and environmental health at risk will need further evaluation, but awareness of the risk we’re self imposing will further materialize with the general appreciation and understanding of the risk to the #changeagent of pesticide exposure. The market for safer produce at minimal margin increase will gain adoption with more awareness no matter what. Glass-house production gets ahead of the curve through immediate and cutting-edge Innovation investing in controlling your own environment, by controlling your own destiny. 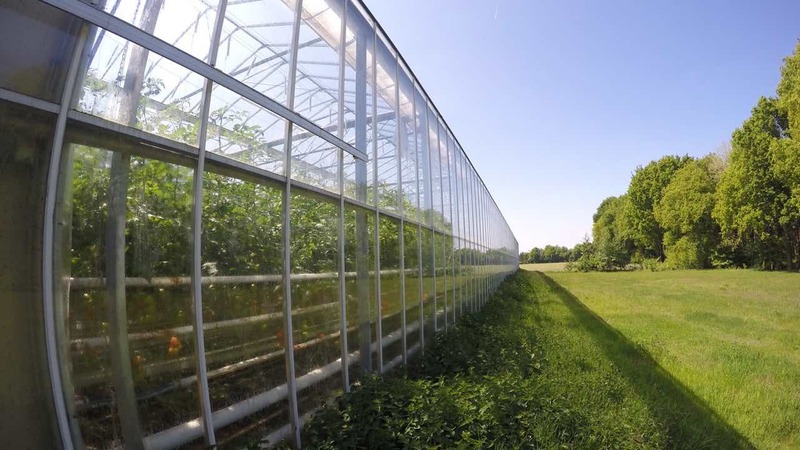 Glass-house production can regionalize food – it conserves required resources, most noticeably water, and the technology controls the grow environment which reduces a requirement for preemptive pesticide application and potential exposure. Latest advancement reduce energy requirements, while using renewable resources for energy and heat. If we’re looking for a Silver-Bullet for cleaning up production and mitigating risk of food exposure – creating profitable glass-house businesses of scale in the US to service population densities seems to have a loaded chamber. I agree with Jorrit; controlling the grow environment to ward off potential crop combatants is the way of the future. Alleviating potential risk of drought or exposure to extreme weather, the practice of precision agricultural in glass-house production reduces the need for contaminants or toxins exposing consumers and the environment to persistent pesticides, herbicides and fungicides widely used in domestic US conventional agriculture. With the ability to reduce utilization of synthetics by an order of magnitude and too abstinence from the real bad stuff – like known carcinogens, neurotoxins and hormone disrupters currently given a green-light in the States – direct exposure drops dramatically by controlling your own environment. With indoor soil-based Organic practice, I again agree with Jorrit – precision agricultural production is more cost effective and pragmatic as it reaps increased desirability, consistent cash-flow & price premiums – which could service regional US cities & colleges with a full season consistent supply of Organic. Due to circumstances often out of their control, the Netherlands, Australia, and Israel have all been thrust into the lead position evaluating best sustainable practices to feed a shrinking planet. Discussion with these folks about how the problem in the US is that we just don’t have enough affordable agricultural land is futile; they’ll laugh, and explain to you as if you’re an inexperienced youth that it’s only a matter a time until our perspective will evolve. What’s unique, this insight gained from turning their necessities into an assets helps formulate a lens into how we’ll need to feed the our future growing population. Pumping out cheap calories at the expense of human, animal & planetary system health is proving costly. Now, in the 21st century, combining the sheer volume of demand with changing diets consuming more animal proteins puts further tax on a production systems already stressed. As our border wars and population growth have become a hot button issue in the States, domestic production matters greatly. More pragmatically, in the grande scheme – borders matter less with the modern realization the earth is a finite resource we all share in use & containment. So, it’s time we act like adults, and leaders of the free-world by thinking globally through acting locally. The circular system gives back, and the more waste you can reduce, like in circular economies, the less input and expenditures are incurred in following years. When evaluating how circular systems scale – they’ve proven cleaner, healthier and significantly less risky to potential public health outbreaks; so from the lens our backyard or far expanses of the globe – this is a good place to begin. As the Dutch have documented with their flagship livestock revision of OneHealth – clean food solved a few of their festering problems while drawing a new audience. In the States, there are immense untapped markets ready for regional producers of safer food. The icing on the cake is that sustainable/circular agriculture is financially prudent. Not only does it better service evolving demands of populations densities, it lowers operational costs, and raising ruminants gains further value and savings by the year. Of national concern, water seems what will cause enough wake to disrupt food business as usual into a new-normal. Stressing ecological systems by poorly managing natural resources, especially those regenerative in nature – is bad business, poor commonsense and flat-out hubris to think our amassing species can continue to thrive without playing by the rules of the systems surrounding. There’s been discussion in the US of a requirement for a national “food-plan“. It’s a great concept, and needed, but at the same point without infrastructure to support broader sustainable agricultural practice across the US – the food-plan matters not as it’ll just create additional politicizing and finger-wagging. Instead, we have infrastructure and interest available in the USDA to begin to seriously invest in alternative methods of production; ones of a proven track record that diversify our portfolio to alternative and change our risk profile. We need a new agricultural mindset, one that doesn’t mine natural resources of ecology for benefit of cheaper calories to enter global food streams, and instead one circular that invests back into the system. Food is – healthcare for body & planet. Root cause prevention is the most fiduciary approach to tackling any health issue, especially of those associated to fixing a problem as straight forward as eating cheap food. At this point, Circular agriculture is nothing less than worthy of a true assessment for any forward facing food company or country. Our ability to work with the bounty of natural order to produce enough food on an ongoing and consistent basis to feed a shrinking world can only come through better understanding of a circular approach that teems with resilience and cycle nutrients on a regenerative basis. Circular and not linear is equally a practice, and a mindset. Production of clean & safe food is foundation for awareness & action, and our best food-plan. We’re defining a template that uses capitalism to reinstate nourishment back into to food and transition from a process contamination and waste with a rapid enough cadence to rectify human and environmental health through-out. A pragmatic approach to evaluate not just new technologies in the same conventional genre, but true systemic innovations as risk mitigation to US production. History presents clearly this won’t be the first time “modern” science fell into a trap of overthinking its knowledge is absolute. Certain knowledge remains provincial, and unless we make ourselves part of the circle once again – system resilience will be tested at our expense, and thinking will change quickly at the tail-end of backlash. Investment in innovations keen to modern society and environmental impact, and mitigating of risk from certain agricultural practices of questionable result should be easy to justify when calculating all the facts in the circular equation. A Dutch recipe for sustainable food production built on an economy of growing business, we should approach sustainable with this same perspective Stateside. As circular, it’s innovation and risk mitigation through diversifying our suite of offerings. Drawing upon the precedent in coffee, craft beers, cheese, wine, sweets/savories and others have accomplished decommoditization in US markets – rejiggering the value of the center of plate and that of the salad plate has great merit to the same US consumers who’ve already expressed numerous evolutions in their food buying habits. The way we reduce risk of food or production, whether via business or State, is by diversifying a portfolio through the creation of successful free-market business which meet evolving market demands, and act proactively in one’s destiny. Nutritional security is national security, and maintaining a single system dependency on production of what sustains us all should be concerning to both. We must diversify our food production and innovate our way back into the circular system we’re ultimately apart of. Based on the many drivers detailed prior, it’s a revised agricultural plan that gets us closer to a global community where dialogue, understanding, and collaboration lead to a more prosperous, just, and peaceful world – Eisenhower Fellowship Mantra.